YottaDB r1.20 is the most significant release to date from the YottaDB team. With the ability to call the data management engine directly from C, and eliminating the need for any application code to be written in M (by separating the M language from the database without compromising either in any way), YottaDB r1.20 represents a historic milestone for the YottaDB/GT.M code base. YottaDB r1.20 is built on (and except where explicitly noted, upward compatible with) both YottaDB r1.10 and GT.M V6.3-003A. A C API to call the database management engine directly. As C is the lingua franca of computer languages, this makes the engine accessible from other languages. In the future, we anticipate creating standard wrappers to the engine from other languages, and we invite members of the community to do so as well. An all-new manual, the Multi-Language Programmers Guide to access the C API. At US $5 in retail quantities, a new Supported platform, the Raspberry Pi Zero is the lowest cost platform ever for the code base. This and the halving of the storage footprint of the database engine itself (14-15MB), makes YottaDB attractive for Internet of Things applications. Our blog post Edge Computing and YottaDB Everywhere touches on the benefits of YottaDB on low cost computing platforms. Docker containers make it easy to get up and running with YottaDB for experimentation, DevOps and Microservices. Performance improvements (up to two orders of magnitude in specific test cases) in large local arrays and garbage collection, especially in applications with large numbers of strings that change often. The READ command supports a buffer of the same number of prior inputs that direct mode does. Performance improvements when there are a large number of concurrent locks. Introduced as field test grade functionality in a production release, the ability for a process to associated itself with different instances at run-time. 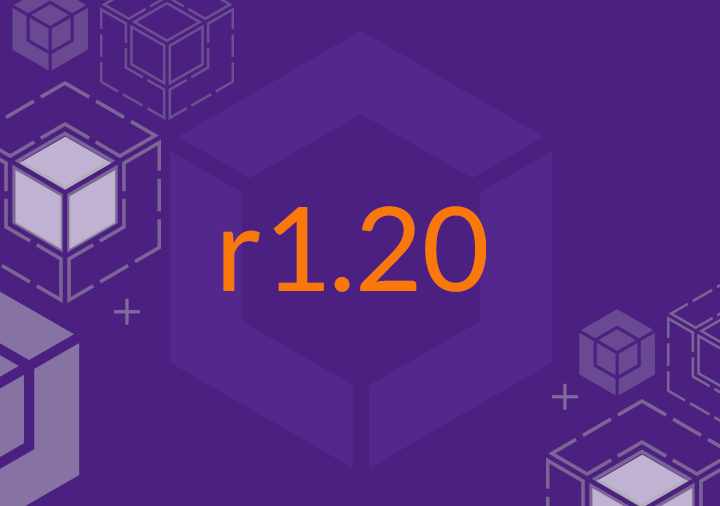 As is the case in every release, YottaDB r1.20 brings other enhancements, e.g., callin when an application is already inside a transaction processing fence, and sending syslog messages to stderr when there is no syslog, as well as fixes to issues, all detailed in the Release Notes. See our Get Started page to use YottaDB. Links updated to point to GitLab on Aug 20, 2018.